Redclyffe Guesthouse is a cosy place for a single person or a couple. It is about a mile from city centre and so location is not bad. The breakfast selection is good. The hosts are quite friendly. The location is good, the room was lovely and warm. Not too much really. Mediocre at best. The people and the breakfast were nice though. The kids room was down the hall and we had bathrooms in both. The rooms were spacious and the beds were queen size! Breakfast, though simple, was excellent and freshly made after ordering. Bed was quite comfortable. The location is excellent. 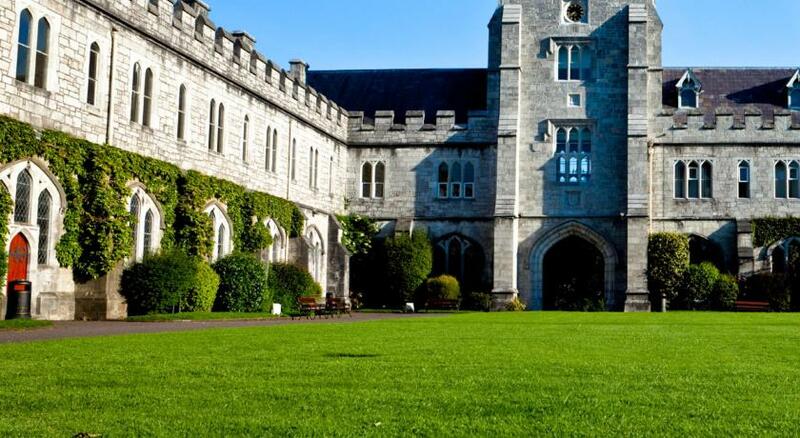 If you're walking, you will pass other lodgings on your way into the city center, but especially later at night, you will appreciate that the Redclyffe is removed from the louder areas in the city center and the University College, Cork. The rooms are basic but clean and comfortable. The breakfast is excellent, and the staff is friendly and helpful. There was one lovely staff person, a woman from Albania, and she was welcoming and helpful. Very friendly and helpful hostess. Good breakfast. Clean room. Redclyffe Guesthouse This rating is a reflection of how the property compares to the industry standard when it comes to price, facilities and services available. It's based on a self-evaluation by the property. Use this rating to help choose your stay! Overlooking Fitzgerald Park, The Redclyffe Guesthouse is across from University College Cork. Central Cork is a 10-minute walk away and Redclyffe offers free Wi-Fi, free parking and traditional breakfasts. Large bedrooms have private bathrooms and hairdryers. They also include satellite TVs, telephones and tea/coffee making facilities, some rooms have views of the park. Outside of the hotel there is a bus stop which has a regular service to the center of the city. The friendly staff can also provide travel arrangements and recommend restaurants and sightseeing attractions. Shannon Steeple, The English Market and St. Finbarrs cathedral are all less than one mile from Redclyffe. Douglas Golf Club and Cork Airport are both just a 5-minute drive from the guesthouse. When would you like to stay at Redclyffe Guesthouse? Includes satellite TV and a private bathroom with free toiletries. Tea and coffee-making facilities are provided. Featuring a private bathroom, tea and coffee-making facilities, a hairdryer and a TV. House Rules Redclyffe Guesthouse takes special requests – add in the next step! Redclyffe Guesthouse accepts these cards and reserves the right to temporarily hold an amount prior to arrival. Very friendly staff, extremely welcoming. Enjoyable short trip. The Host and the staff were friendly and the room was clean. We were served with a lovely Breakfast. Thank you. Bed uncomfortable, room very small, very loud guest's and over priced. Breakfast was really nice! Bed was comfy! The breakfast had no real options, a choice of orange juice or tea/coffee.. asked for a water and it was a big ordeal in which I received when we were finished.. Nothing really. I wish the room was a bit spacious but that is not a deal breaker. Car park is small with limited spaces. The property really needs updating. It's clean but the carpets are worn and everything feels old ( not in a good way). The breakfast was fine for me ( vegetarian) but I would like to see a full Irish on offer and there were no special touches (fruit was fine but buns were just from a packet). Accommodate wasn't very expensive but it wasn't good value. I was disappointed. The staff were friendly and helpfulful. The breakfast was ok. It's a good location for the University. There is parking in site. Lovely staff great location, perfect comfy bed and nice breakfast! the B&B was just what we wanted safe clean and quite. Parking was a bonus and the park near by enjoyable, For the price a good deal. Homely, comfortable, very friendly staff. Great value. Delicious Breakfast! Very hospitable hosts. I Will recommend this place for my friends and colleagues.